During the Civil War a mysterious nomad, Clint Eastwood, enters into a macarbe partnership with Mexican gunman Eli Wallach, a man with a price on his head. Eastwood keeps turning him in to the authorities for the reward money and rescuing him at the last minute. They end up joining in an uneasy alliance with sadistic criminal Lee Van Cleef for much bigger stakes. 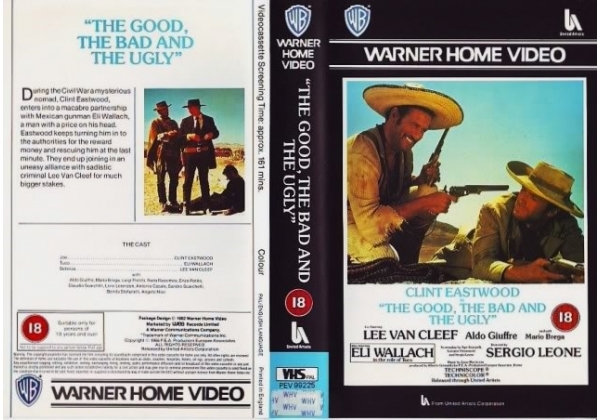 Or find "Good, The Bad & The Ugly, The" on VHS and DVD / BluRay at Amazon.